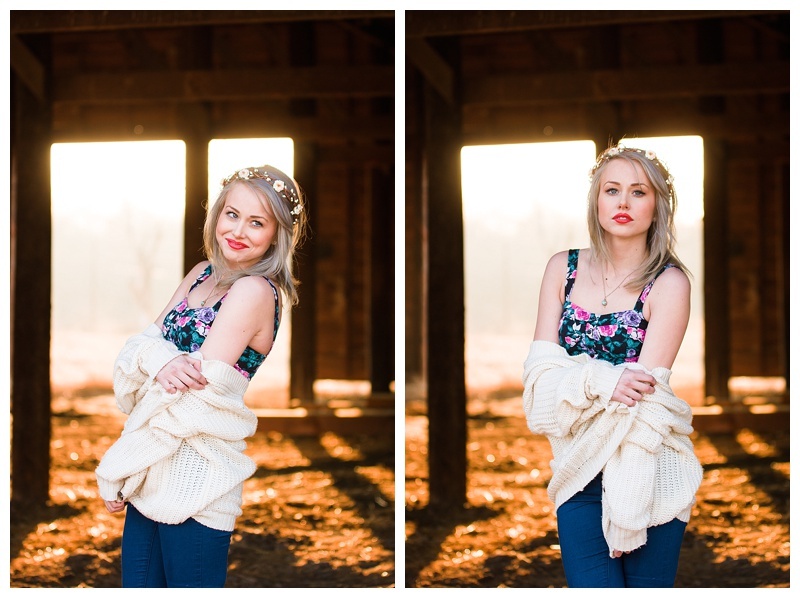 I am in LOVE with this session. I am friends with a photographer from Gentry, Nancy. We have known each other for close to 2 years now. Finally, I our schedules aligned and we were able to shoot together! She brought a model and so did I. This is the model that I brought, Skyelar. After meeting up, we headed over to Dickson and started shooting. 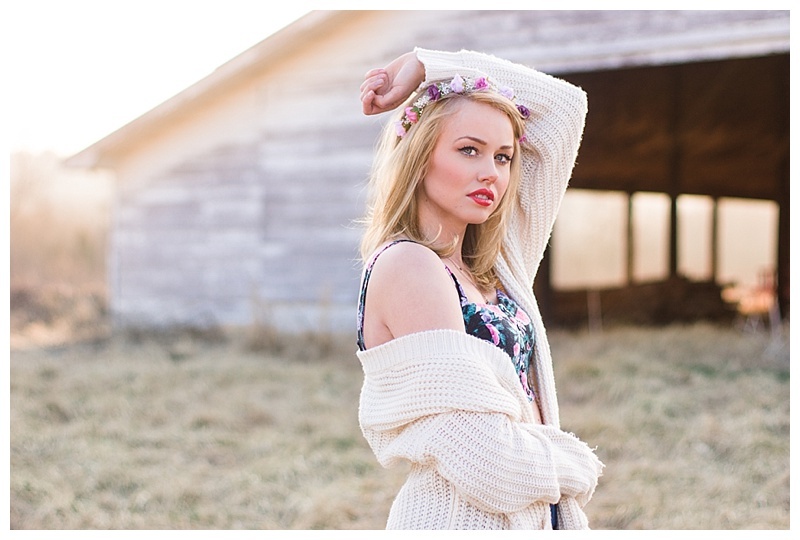 To end the session, we went to a field that had an old barn at the back of the property. After hiking in the wet grass (and filling my shoes with water in the process) we finally made it to there just in time for the golden hour before sunset. 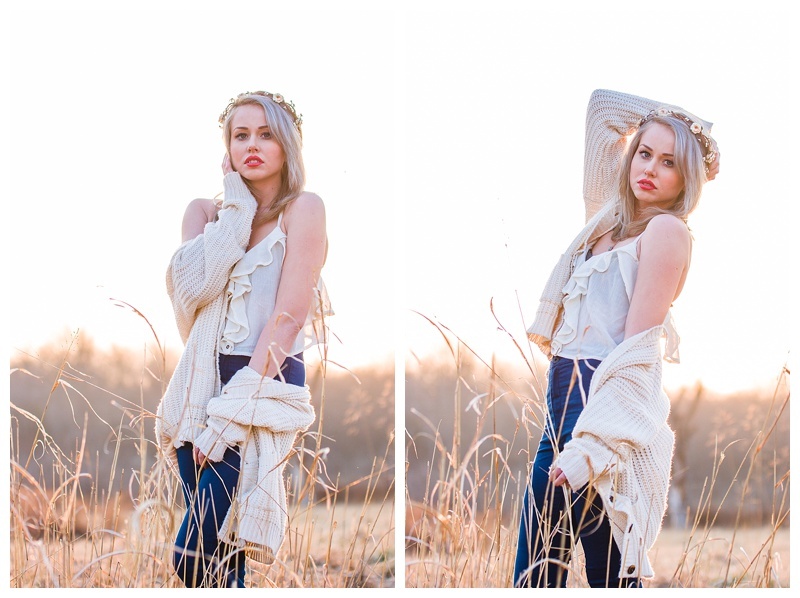 I received some flower crowns in the mail right before the shoot and could not wait to use them. They are gorgeous! The details in them are so precious. The fine and delicate baby's breath is the perfect finishing touch. I even let Skyelar pick out which one she wanted to wear! I am super happy with the crowns and I think they had just the right amount of feminine touch to them. If you'd like to see other crowns that Serenity Crystal has, you can check out her etsy page. She has some really beautiful work and they are of very high quality. I would definitely recommend her if you're planning anything that involves flowers! I hope you like the contrast between the looks. Versatility always helps make more awesome sessions. Want to see more? I'll be posting the rest soon!